After watching his speech that day, I did something I've never done: I scrapped my presentation. I walked into my breakout session and gave a nearly packed room the choice of either the prepared presentation on the process of Change Management, with tools and templates, or a facilitated conversation about Change Management, focusing on the people side and problem-solving. We spent an hour in an intense Q&A along with input from the audience and my own experiences. It was a fascinating experience that was completely different from what I expected and based on the feedback, the attendees enjoyed as well. The quote feels appropriate considering the lessons from the last week. Are you too comfortable with what you are doing? 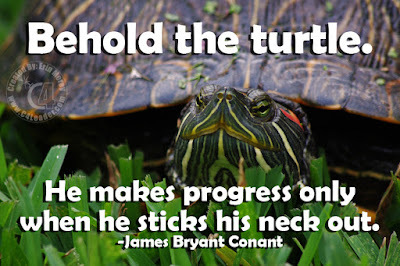 Do you have goals or dreams that you would like to achieve but are afraid to stick your neck out? 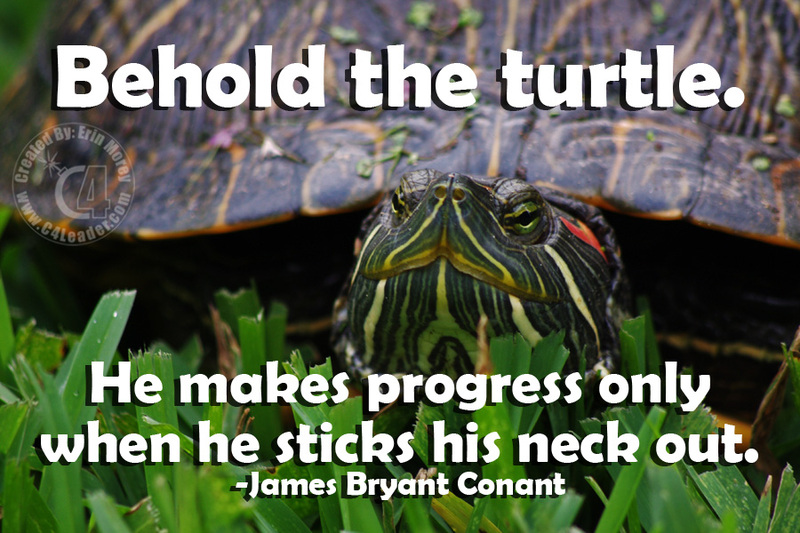 I encourage you to try something completely different, stick your neck out to make progress. You may be amazed that you win a race (okay okay, tortoise instead of turtle but I think you can see the connection!). James Bryant Conant was a US Chemist, President of Harvard University, and the first US Ambassador to West Germany. He helped develop poison gas in WWI, led changes to Harvard University, and oversaw the Manhattan Project as Chairman of the National Defense Research Committee. In 1953 he left Harvard and became the United States High Commissioner for Germany, overseeing the restoration of Germany and became Ambassador until 1957.